We tend to think that those in poverty are products of drug addiction or mental illness, but many poor people hold full-time or multiple part time jobs. Gene Nichol wants to put a face on North Carolina's poor, and he joins Mike Collins. Poverty doesn’t just plague people with drug addictions or mental illness. Of the 1.5 million people living in poverty in this state, many hold full-time or multiple part-time jobs. Many of our poor are children. 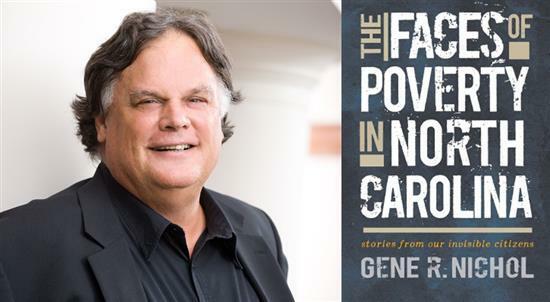 Gene Nichol has spent much of his career studying poverty, at who it affects, and at trying to humanize a topic that tends to get stigmatized. Nichol joins us to put a face on poverty on this Charlotte talks.